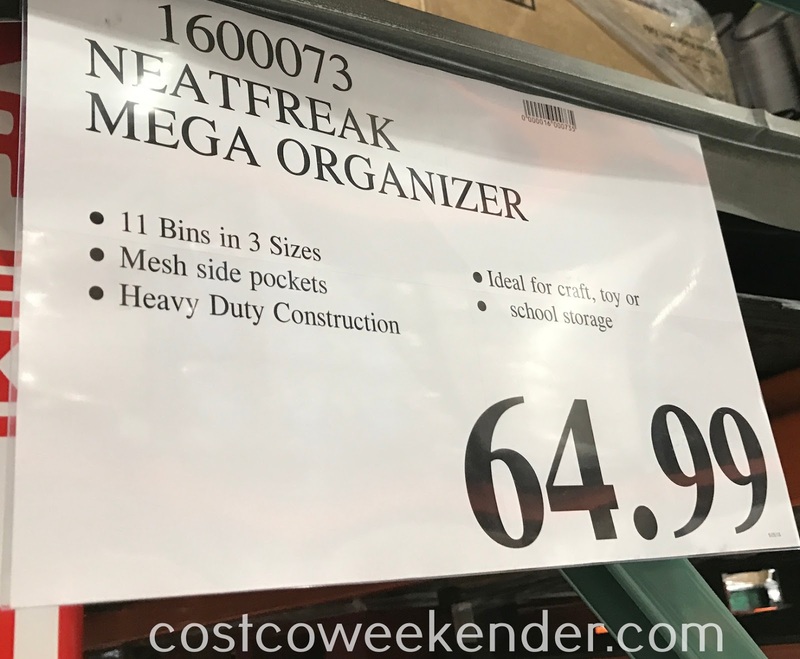 I'm always on the lookout for storage solutions like the NeatFreak 3-tier Home Storage Organizer. Space is at a premium in our home with all of my kids' toys littering the living room floor. 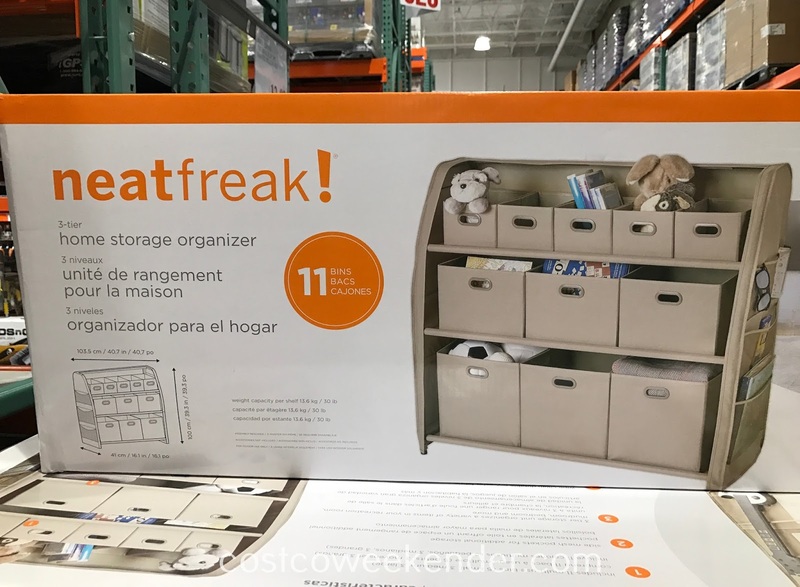 So it's good to have the NeatFreak 3-tier Home Storage Organizer with its 11 bins, varying in size. With 3 shelves, you can keep larger items in the bottom while storing the smaller toys like Lego pieces up at the top. The side mesh pockets are great too to keep magazines and small books. 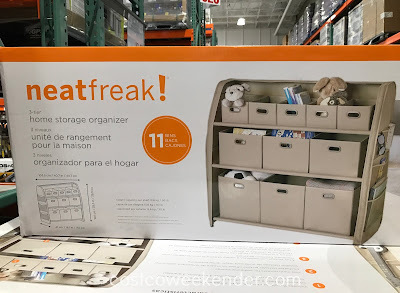 So whether you need storage in your bedroom, living room, or mudroom, check out the NeatFreak 3-tier Home Storage Organizer. Hello @Anonymous, yes I think the 97 means that it is indeed discounted. Perhaps it doesn't necessarily mean that the NeatFreak 3-tier Home Storage Organizer is heavily discounted, but maybe it signifies that the item is on clearance and won't get any lower than that $59.97 price before they remove it from store shelves altogether. Yes, you are correct though that $5 off really isn't that much of a discount. anyone know if this is still available? will try calling tomorrow!! 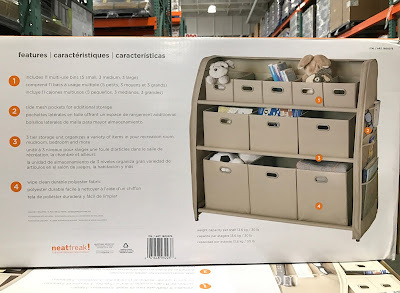 Hi @Unknown, it's hard to say whether the NeatFreak 3-tier Home Storage Organizer is still available. It's been almost 6 months since I last saw it at Costco, but it really just depends on your local Costco warehouse. Hopefully yours still has it in stock. Good luck! I bought one at Costco today in Woodstock GA for $40. Thanks for letting us know that the NeatFreak 3-tier Home Storage Organizer is available on sale at the Costco in Woodstock, GA (113 Lincoln St), @Farah. That's great that you were able to snag it for only $40! That's definitely a good deal. I hope you're loving your purchase and that it lasts you a very long time!